What Is a Pumpkin Tree Plant? When to Plant Pumpkin Seeds in Virginia? How Many Seeds Are in an Average Pumpkin? 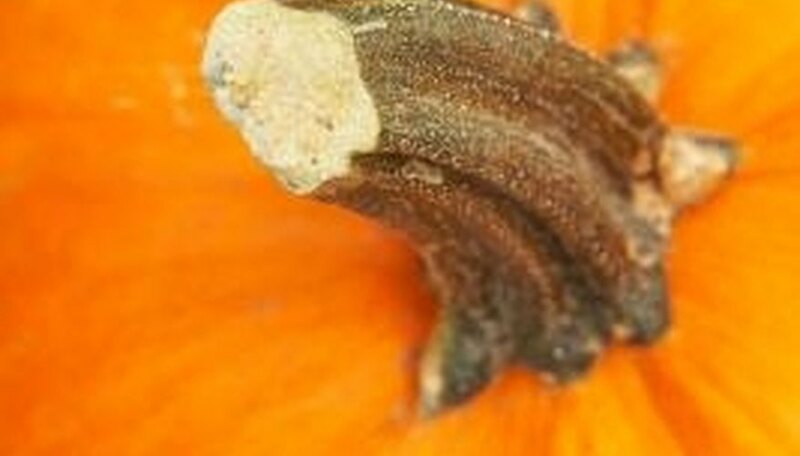 What Determines the Number of Seeds in a Pumpkin? Pumpkins are fun to grow in the garden, since the resulting fruit has many uses. However, pumpkins are not without their down side. Keeping pumpkin plants from growing all over your garden requires a constant watch and quite a bit of pruning. Once the main vines get to the length you want, you can cut the ends to stop growth, but watch for many shoots to start growing along the vines. Cut secondary vines growing from the main vine only if they are dead, are overlapping one another, or they are so close together that you cannot walk between them without harming one. In the case of overlapping, select one vine and trim it. In the case of overcrowding, select the vines you feel are best removed so you can walk in the garden. Use pruning shears to cut the vines off near, but not immediately next to, the main vine. Cut roots that develop on a vine near the developing fruit. Remove any roots on the vine within 3 feet of the pumpkin on either side. In any other case, the extra roots are welcome, since they help feed and anchor the plant. Cut back vines that grow from secondary vines. You want to keep the main vine and shoots that grow from it. Any shoots that grow from secondary shoots will be weak and drain the plant of needed nutrients for pumpkin production. Cut the end of the main vine once it grows 10 to 12 feet beyond the last pumpkin you want on the vine. This forces the vine to stop growing longer and put its energy into pumpkin production. Cut the end off with pruning shears. Cover the ends of snipped vine ends with dirt to stop water loss. Cut the ends off secondary vines when they have grown a length of 8 to 9 feet so they will stop growing and use energy for pumpkin production. A pumpkin tree plant, also known as pumpkin on a stick or a pumpkin bush, is classified as Solanum integrifolium. The plant grows 3 to 5 feet in height and produces small, ribbed fruit similiar to pumpkins. The 2-inch fruit changes to a deep orange color as it ripens. Use the fruit in floral arrangements or as an ingredient in Asian dishes. Identify which flowers are male and which are female. Males tend to be longer with thin stems, while females grow closer to the main stem of the plant and have a small, immature pumpkin under them. Wait for the female flower to open. Pollinate as early in the day as possible. You can usually tell the night before if the flower is about to open. Remove the stamen from the middle of the male flower, if some small specks of dust come off, then it is ready to pollinate. Rub the stamen on all parts of the inside of the female flower. If you like, you can leave the stamen inside the flower. The hand pollination process is complete, and the results can be seen in a couple of days if the fruit starts to grow, which indicates a success. Remove the seeds from the pumpkin Separate them from the pumpkin innards as best you can then place in a colander. Rinse under warm water until pulp is removed from the seeds. Add 2 tablespoons of salt to 1 quart of water to a saucepan. Bring to a boil over medium heat. Add seeds to the water and boil for 30 minutes. Drain the seeds in a colander and pat dry with paper towels. Place a pumpkin seed in between your forefinger and thumb. Point the seed toward an empty bowl and gently squeeze. The seed will slip out of the hull and into the bowl, leaving the hull in your fingers. Repeat process for each seed until all are hulled. Coat seeds with oil and season as desired Place in a single layer on a baking sheet. Roast at 300 degrees for 30 to 40 minutes. File the edges of the pumpkin seed lightly with a nail file. This will allow the sprouts to break through the shell of the seed more easily. Soak the seeds in lukewarm water for two to four hours. Create a mound of soil where the pumpkin seeds will be planted. The circular mound should be approximately 6 inches high and 3 feet in diameter. The pumpkin mound needs to be in a location that will receive plenty of sunlight every day, as pumpkins are a warm-weather squash. Plant two or three seeds in the center of each mound, 2 inches deep. Cover with soil and water well. Within a week, the seedlings should emerge from the ground. Wash and dry an empty 1/2-gallon cardboard milk carton. Open the top completely to make a rectangular cube container. Each pumpkin will need its own carton. Place the pumpkins into the empty milk cartons when they have grown to approximately 3 inches in diameter. Set the milk carton next to the pumpkin with the opening facing up. Lift up several feet of the vine that holds the pumpkin and carefully lower the pumpkin into the carton. 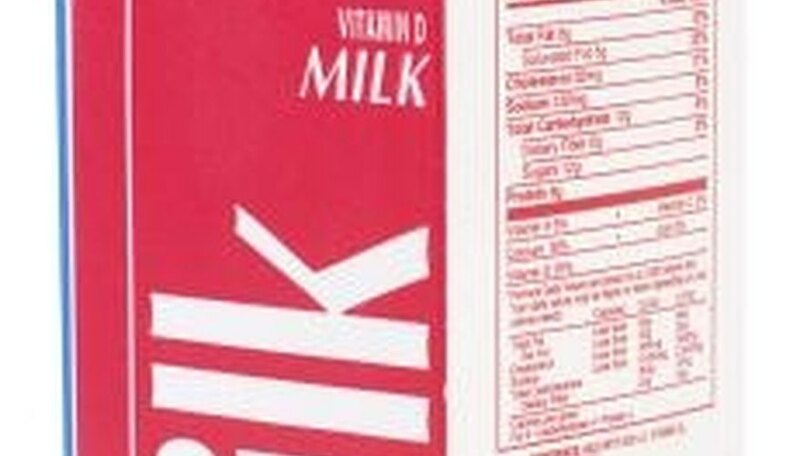 The stem and vine should be pointing up, coming out of the top of the carton. Check the pumpkin every few days to ensure that it is still growing the right direction inside the carton. As the pumpkin grows the carton will restrict its shape, creating a square pumpkin. Peel the cardboard carton away from the pumpkin when it reaches maturity, about 90 to 120 days after planting. Cut the pumpkin off the vine leaving about 6 inches of stem intact. Use as a decoration or carve it to make an unusual jack-o-lantern. Calculate the time to plant your pumpkins by counting back from the time you need them. For example, most pumpkin plants take 110 days from planting to produce a ripe pumpkin. If you want pumpkins in October, plant seeds in July. Locate an area in the garden that is large enough to support several pumpkin plants. A healthy pumpkin plant can spread 15 feet in all directions. Clean area of weeds and debris. Make several hills or rows, keeping in mind that vines will be planted 5 to 6 feet apart in rows 6 to 8 feet apart. Add organic granulated fertilizer at recommended rate. Plant 4 to 6 pumpkin seeds 1 to 2 inches deep in one area at a time 6 feet apart. You will eventually thin each bunch of sprouting plants to two or three plants per hole. Water in well and water regularly during the growing season. For healthy pumpkins, don't allow plants to become stressed. Planting time for pumpkin seeds varies by variety and time to harvest, but most are planted in Virginia from late May to mid-June, according to Virginia Cooperative Extension. The minimum soil temperature for planting pumpkin seeds should be 65 degrees Fahrenheit. Poast Ultra has the active ingredient of sethoxydim. Proper dilutions include .15 kg. for every hectare. This herbicide should only be applied to actively growing grass and weeds. For the best penetration, Poast Ultra should be combined with the surfactant Merge. Command 3ME is a pre-treatment for grass and small-seeded weeds. It can be used for all processing pumpkins, except jack-o-lanterns. When using in a garden, apply at a rate of .66 pt. per acre of patch. For the best results, this spray should be used between anti-weed protective plastic layers. Curbit 3E can be used for pre-treating grasses and broadleaf weeds. Curbit is a strong herbicide that can be absorbed into the roots of pumpkins and cause crop damage. To avoid this, only apply Curbit 3E to dry soils and avoid spraying before a heavy rain. This herbicide for pumpkins should never be incorporated into the soil, but rather lightly applied at a rate of 3 pints per acre to the soil between the rows of plastic mulch. The average pumpkin has approximately one full cup of seeds, or about 300. 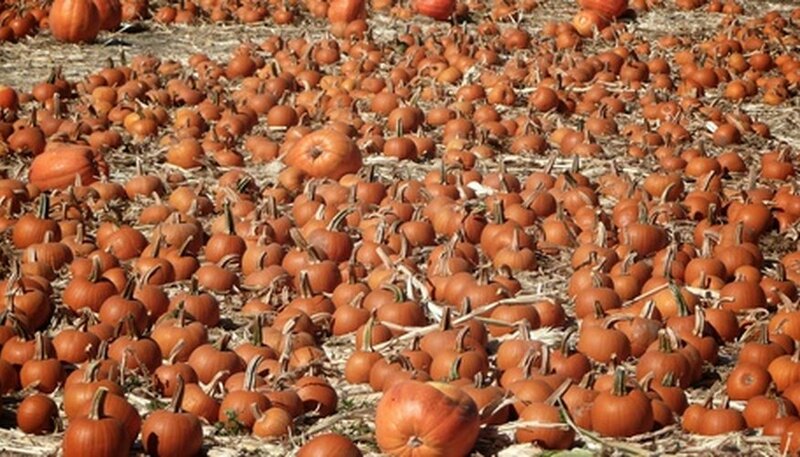 The exact number of seeds varies by the weight of each pumpkin. One factor that can determine the number of seeds in a pumpkin is the size of the pumpkin. Large pumpkins normally have more seeds than small pumpkins. 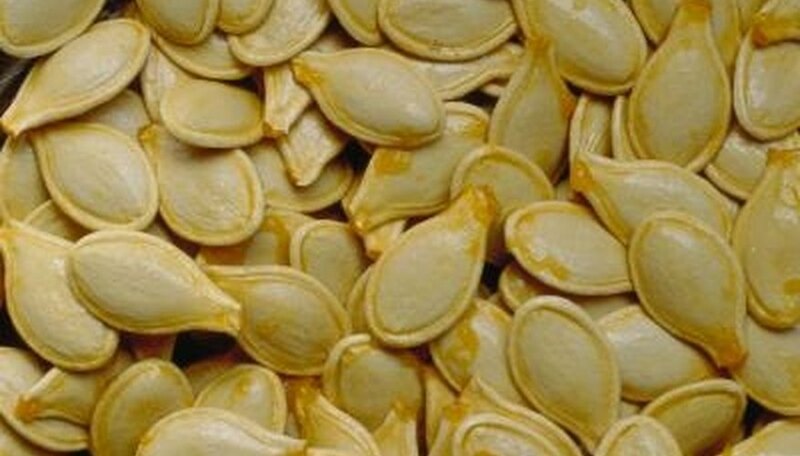 The heavier the pumpkin, the more seeds you can expect to find when it is cut. Place the oven rack in the highest position. Preheat the oven to 275 degrees F.
Mix the butter, brown sugar, salt and honey in a bowl. Add the pumpkin seeds and toss to coat. Pour the seeds onto a jelly roll pan and spread them out in a single layer. Bake the seeds for 15 minutes. Remove from the oven, turn them and place them back in the oven for 15 minutes. Remove the seeds from the oven and sprinkle with sugar. Return the pan to the oven and bake for 15 minutes. Allow the seeds to cool and then store them in an airtight container. Add the rubbing alcohol and the hydrangea hydrosol to the plastic bottle. Hydrangea hydrosol, like most hydrosols, is a botanical water that contains the scent of flowers and plants. It helps bind essential oils to water-based recipes. Add 6 drops of the lavender essential oil to the bottle. Add 4 drops of the pumpkin essence to the bottle. Add the remaining 6 drops of lavender essential oil and the 4 drops of pumpkin essence to the bottle. Shake the bottle vigorously for about two minutes, or until the liquid in the bottle gets a frothy top. Place the bottle in a cool, dark place for about seven days to allow the ingredients to combine and deepen in aroma. Preheat the oven to 400 degrees F, and line each of the wells of the cupcake pan with a foil cupcake liner. Combine in a bowl the flour, oatmeal, baking soda, salt, cinnamon and pumpkin pie spice. Mix in a second bowl the egg whites, vanilla extract, brown sugar, vegetable oil and pumpkin puree. Stir the oatmeal mixture into the pumpkin mixture until the batter just becomes moistened, but do not overmix. Divide the batter evenly among the 12 cupcake liners, filling each no more than 2/3 full. Bake the muffins at 375 degrees F for 20 to 25 minutes or until, upon inserting a toothpick into the center muffin, it comes out cleanly. Preheat a heavy skillet over medium-high heat. A cast iron skillet is ideal. 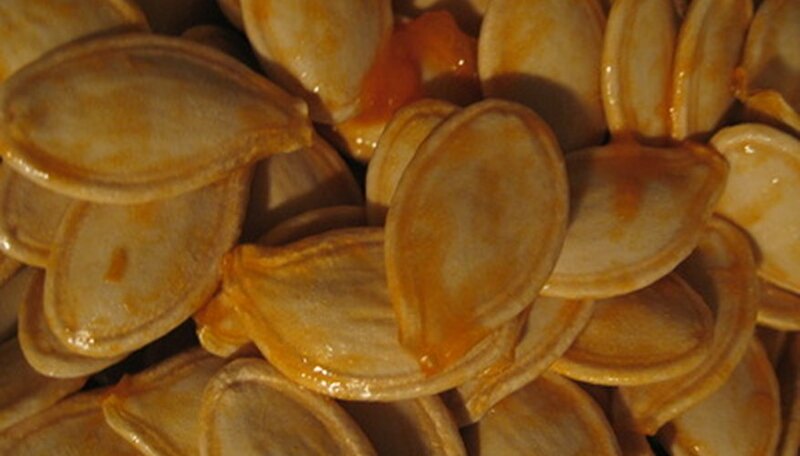 Place the clean, dried pumpkin seeds in the hot pan. Stir constantly to prevent burning. The seeds will puff up as they cook. Remove from the heat when the seeds are puffed and beginning to brown. Drizzle with a small amount of olive oil, and season with salt and other desired seasonings. Toss to coat. Harvest pumpkins before the first frost by cutting each pumpkin off the vine with pruning shears. Prune any leaves growing on the vine around the pumpkin. Leave a stem that is 3 to 4 inches long on each pumpkin. Remove the cream cheese from the refrigerator and set the packaged block on the kitchen counter until the cream cheese becomes soft, approximately one hour. Unwrap the softened cream cheese and place it into a mixing bowl. Add the pumpkin and powdered sugar. Use an electric hand mixer to combine the ingredients until smooth. Add pumpkin pie spice and vanilla to the mixture and mix well. Scoop the dip into a serving bowl and refrigerate for at least one hour before serving. Cut apples and pears into wedges. Set the bowl of dip in the center of the serving platter and arrange the fruit wedges around the bowl. Add ginger snap cookies to the platter if desired. Refrigerate leftover dip for up to two days.